Italian shoes Fabi broke into the new season 2010/2011by bringing refined elegance and femininity on fashionable podiums. A variety of models represented in the catalog of shoes, surprises with its variety and extravagance: classic shoes and sandals have modernized in shoe boots and sandal boots. Of course, as summer boots and ankle boots in perforated leather and suede are the main spring and summer trends for several consecutive seasons. Italian women’s shoes Fabi are ready to conquer the hearts and minds of fashionistas all over the world with its impeccable quality and perfect style once again. For the very first time the world-famous luxury shoes from Italy Fabi appeared on the fashion scene in 1965. Two brothers Elisio and Enrico, with the support of their wives, founded a small family business. Initially, the factory specialized in the production of men’s shoes only. 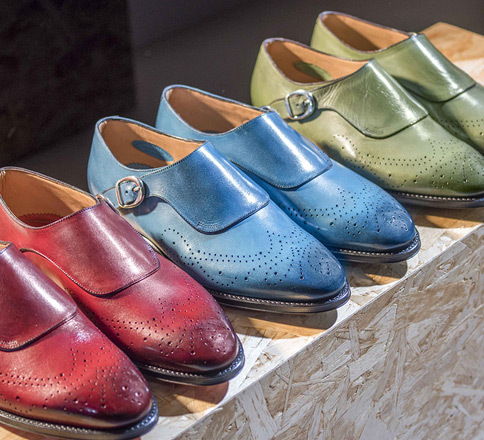 Fabi brothers saw its success in their skills, high professionalism and in passion for shoes, of course. But Fabi brothers did not dare to ignore women. By the early ’70s, it was decided to open a production of women’s shoe models. And, as time has shown, the Fabi family got money’s worth. Today Italian Fabi women’s shoes and handbags are available in all the leading luxurious boutiques in the world. Fabi’s elegance is determined by noble style, soft curved line and expensive materials. The brand did not leave unattended customers of all ages. The wide audience reach is supported by Fabi policy, as its catalog of shoes gives a good indication of that even youth shoes can be exquisite and luxurious. Exclusivity, this is that epithet which describes every Fabi pair of shoes.